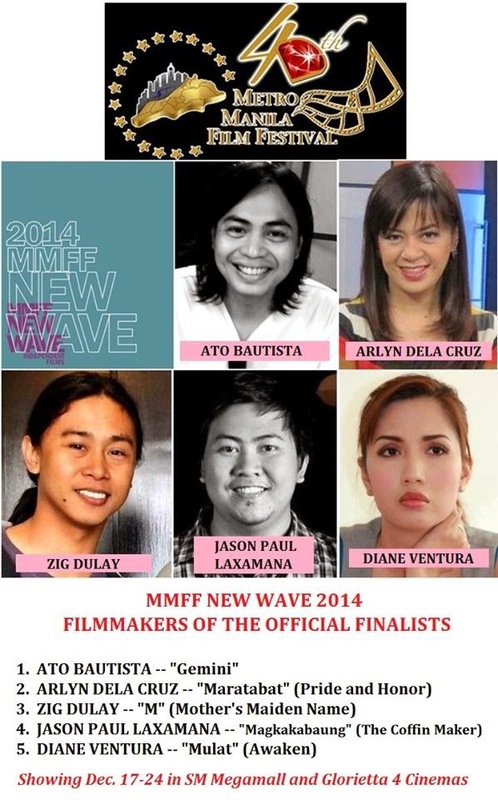 The five (5) official entries of the Metro Manila Film Festival (MMFF) New Wave 2014 (Indie Section - Full-length Feature category) have been revealed. 3. Zig Dulay for M (Mother's Maiden Name)"
The 5 films will be shown during the festival on December 17-24, 2014 in SM Megamall and Glorietta 4 Cinemas.